This well maintained Sagebrush model has kitchen w Eat-in-area, breakfast bar and room for dining in great room Kitchen with corian counter tops w bullnose edge, GE Profile appl. Pull-out shelves in staggered maple cabinets. Split Master with w/i closit, master bathw double sinks. 2nd bedroom with full bath, and yes there is an office! Tile in areas other than bdrms. 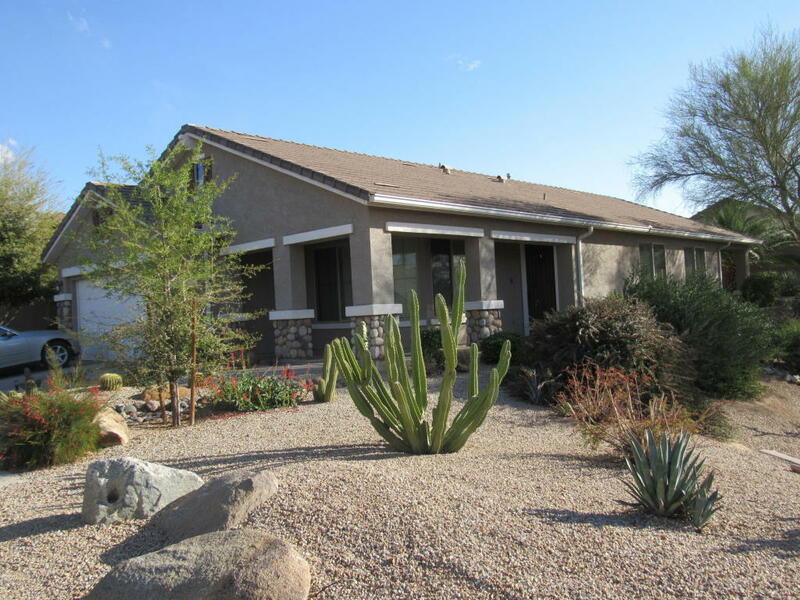 Enjoy the adjacent desert landscaping and mountain views. Private and shaded backyard, has gas fire pit and fountain. House is furnished and ready for you! 55+ at its best!King bed to be replaced with queen bed and Direct TV dish to be removed.Wed. April 4, carpets cleaned and wet,please no showings.